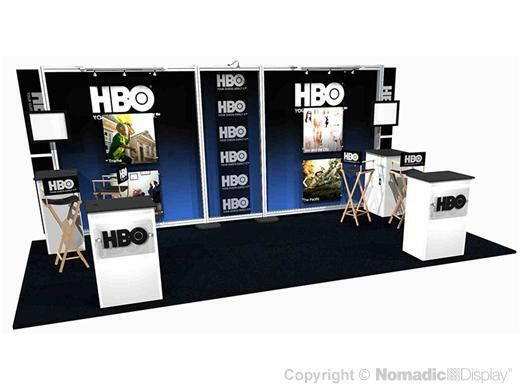 Our 20’ unique hybrid trade show displays adapt to your business needs by scaling down into two 10' ultra portable units. Nomadic hybrid display solutions offer: dimensional graphic signage, illuminated by track lighting, engaging A/V workstations, and free-standing display counters. 8 - FlatPack 300 - 14.02" x 29.72" x 52.56"